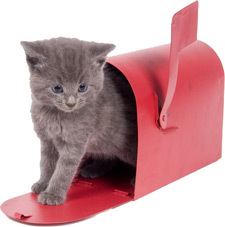 Furkids accepts personal check and credit card donations by mail. To make a donation by mail, please use this form below. Monthly contributions made easy! Through electronic giving, your regular contributions sustain our excellent work here at Furkids. Your monthly gift will be transferred conveniently by your bank from your checking account directly to Furkids. To participate, use our Authorization Agreement for Automatic Debits form. Furkids is honored and proud to be a member of Local Independent Charities of America, a federation of more than 700 local nonprofit charitable organizations that are helping people and animals in communities like ours. We encourage you to support them (and us) by making a donation to Furkids through their site. The CFC is an annual fundraising drive for federal civilian, postal, and military employees to donate to local, national, and international non-profit organizations. If you fall under one of these categories, you can donate to Furkids through the CFC’s site. Our 5-digit code is 29520. It may be possible to double, or even triple, your contribution to Furkids if your employer offers a matching-gift program. Just send us the matching-gift form (usually from your company’s Human Resources department) along with your check or confirmation of your gift, and we will handle the rest. All donations to Furkids, a 501(c)(3) charitable organization, are tax-deductible. The Furkids Tax ID is 01-0766844.